California, USA: Dr. Pritpal Singh (Coordinator American Gurdwara Parbandhik Committee) and S. Jaswant Singh Hothi President AGPC issued a press note stating that Gurdwara Singh Sabha Bay Area, Milpitas, California, USA will be holding Ardas Samagam on 17 February 2019, Sunday at 10 am to commemorate 33rd Martyrdom Day of Saka Nakodar Martyrs. 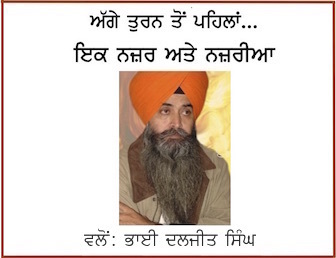 The portraits of all four Martyrs will be installed at Gurdwara Sahib that day. 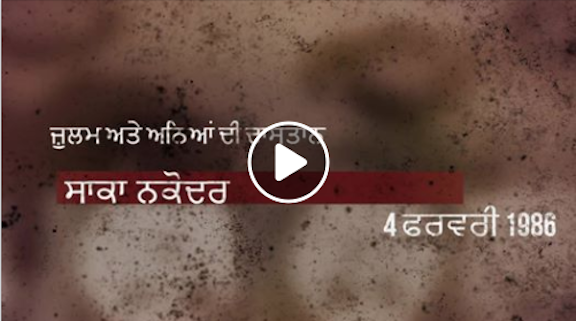 It is pertinent to note that four Sikh students: Bhai Ravinder Singh Ji Littran, Bhai Harminder Singh Ji Chaluper, Bhai Jhilman Singh Ji Gorsian and Bhai Baldhir Singh Ji Ramgarh were killed on 4 February 1986, in a police shooting while they were peacefully marching to collect the remains of five desecrated Guru Granth Sahib Saroops to take it to Sri Goindwal Sahib for immersion there. The Sikh leaders demanded from CM Amrinder Singh that the report of Justice Gurnam Singh Commission made to probe the killings be tabled in the Budget Session of State Assembly. The panel report is being held by the Punjab Government since 31 October 1986.